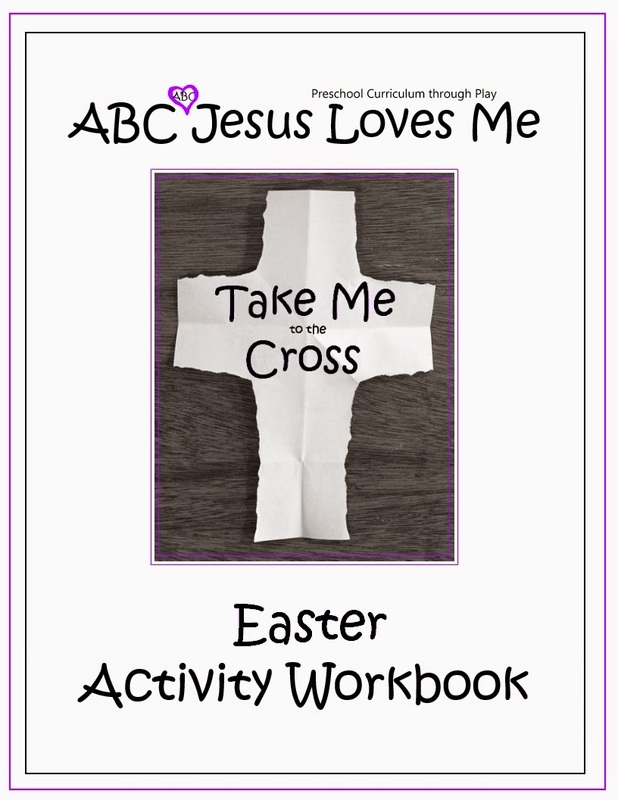 Today I share with all blog subscribers the Easter Activity Workbook: Take Me to the Cross. 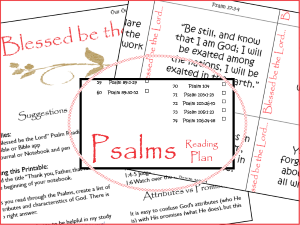 I am so excited to place this resource in your hands. After creating the ABCJLM Lego Christmas Activity Workbook, I realized that we place a lot of emphasis on Christmas. We do countdowns, crafts, decorations, and family activities to help our children understand the importance of the birth of Jesus. For whatever reason, Easter sneaks up on us without much fanfare. Sure there are the Resurrection Eggs, but I’ve found our kiddos are so inundated with them that the delivery method has lost its educational factor. Also, as I am growing in my understanding of who Jesus is, I realize that it isn’t enough to be able to regurgitate the Easter story. Or any story from the Bible. I don’t want our children to simply know the facts. I want them to know our Savior. This led me to my knees asking the Holy Spirit for a way to help our children understand the incredible sacrifice and love that went into the Passion Week. Led by the Lord, I created a seven day countdown Easter Activity Workbook with the purpose of pointing children to the cross and understanding the salvation that comes from it. To daily focus on the Passion Week (the time from Palm Sunday through Easter Sunday) so that our children better understand who Jesus is and how He desires to be a personal Savior to each one of us. To understand how remarkable it is that Jesus died, was buried, and arose to save us. To create traditions that draw our family together. To “impress” Christ on our children (Deuteronomy 6:7). 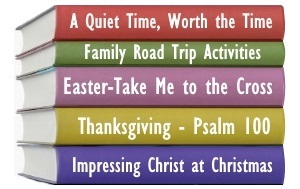 The Easter Activity Workbook will explain exactly what to do each day leading up to Easter. Begin on Palm Sunday and equate each Cross Countdown Day per weekday or begin earlier and spread it out to cover several weeks. In our family, we plan to cover two “days” a week beginning on a few weeks before Easter. 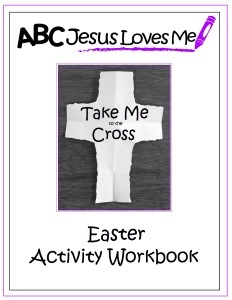 How can I get the Easter Activity Workbook? 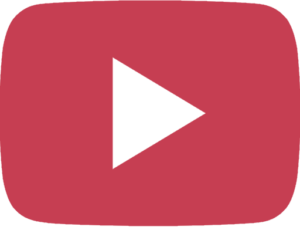 Non-subscribers – Purchase under the Unit Study category on the ABCJLM website. Can’t wait to hear what you think and how you tweak the ideas for your family! The announcement of this Easter Book and other upcoming information are available in the weekly ABCJLM Newsletter. Don’t miss out on the latest news! Previous Post: « May I Take a Moment to Encourage You? Am I the only one not able to find the link to the Easter book? I am a subscriber to both ABCJLM and Our Out of Sync Life (we to have an extremely out of sync son and struggle daily ). I do not have a blog, nor am do I have accounts with any social media sites, so I choose to receive updates via email. The email states there is a "link below" but I am unable to link to anything with the work book. Do I have to have a blog or RSS feed? I am really looking forward to the workbook. I am sorry for your frustration. No you do not need to have a blog or RSS feed. Thank you. I just realized I had not received the newsletter yesterday with the link. I was able to get it through the archive link on your Feb.25 newsletter. I searched spam and trash and didn't see the newsletter in either folder. I'm not sure what happened. I also double checked my subscription and it's okay. I appreciate your help. 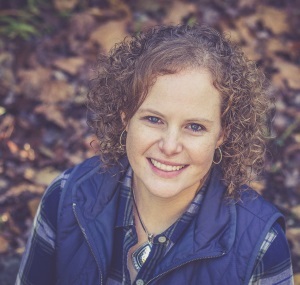 You have blessed me with your blog for a while now and we have been ministered to through your ABCJLM 5 year curriculum. 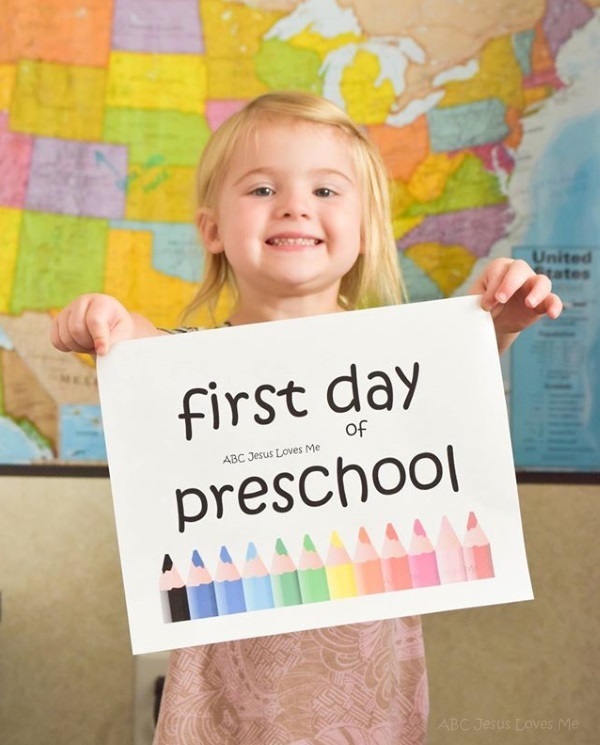 I'll order the two year old curriculum at the end of the year! Thank you! I am sorry for the trouble you are having. The link will not be in past blog updates. If you typically receive the blog updates by email, I am unsure how to help you. I can say that the link will be in tomorrow's blog update. Please let me know if you don't receive that. Not sure if my comment went through – I subscribe via Bloglovin (is that not considered an RSS feed?) I can't find the link so do I need to subscribe via email? Please let me know – we really want this workbook!! Thanks for all you do to minister to us mama's (especially those of us with special needs children)! Is there any way to get the email resent to me? I think I remember seeing it but can't find it now. I would love to check out the Easter booklet but I can't find my email. Thanks! Will the link be sent again? I signed up for the newsletter this past week and did not receive it. I just subscribed today. Can I please get this emailed to me. The link will be in tomorrow's blog email to all confirmed subscribers. I got a welcome to the blog email but no link? Can you help me? Really want to use this easter workbook this week! The link was included in Tuesday's blog post. If you subscribed and confirmed before Tuesday check your email for Tuesday's post.